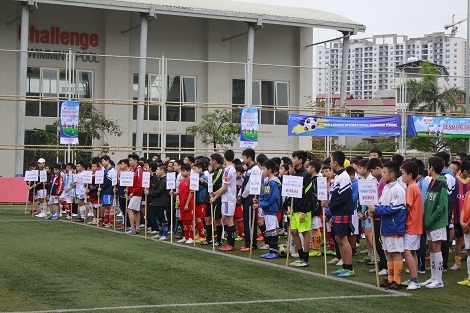 HA NOI (VNS) — The Ngoc Lam and Phu Do secondary schools will represent Ha Noi at the final round of the first football festival for U13 students in June. Ngoc Lam yesterday won 8-0 over Thanh Cong, while Phu Do defeated Dich Vong 4-0 in the Northern qualification's semi-finals. The organisers have so far selected eight out of 12 competitors for the finals. The rest will be decided after qualification rounds in Nghe An Province later this month and HCM City in May. The finals are scheduled to be held in Ha Noi on June 3-7. The festival, co-organised by Yamaha Motor Viet Nam, the Thieu Nien Tien Phong (Youth Pioneers) newspaper and The Thao 24h Joinstock Company, is part of a programme titled: For the Future of Viet Nam Football.